Catholic Cemeteries & Crematoria is a dedicated team who believe that everyone deserves a dignified funeral, with enduring care of their resting place into the future. We believe that cemeteries are sacred and historical places in our society for preserving memories, and the funeral is only the beginning of our role. The sensitive nature of our customer focused organisation seeks people who live our values of care, compassion, and understanding. We implement good employee relationship strategies to ensure that we have the right people in the right jobs and within the right environment and provide a supportive team environment that allows us to deliver caring and compassionate services whilst sharing the Catholic hope & faith over death. 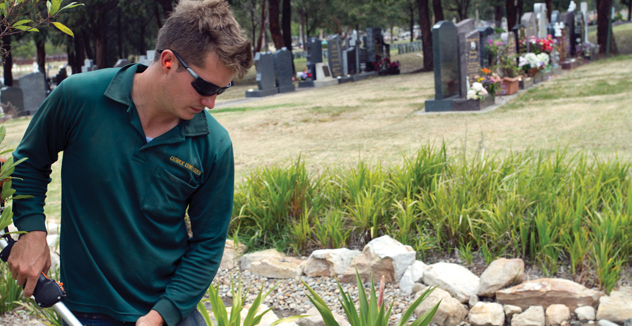 Catholic Cemeteries & Crematoria is also an equal opportunity employer who currently employs approximately 60 people varying from accounts officers to cemetery staff across our site locations. From time to time advertisements are placed seeking suitable applicants for new positions.